Many nannies work a series of short term assignments throughout the year. These can range from several days to several months, and this may be something that you’re used to doing on a regular basis. 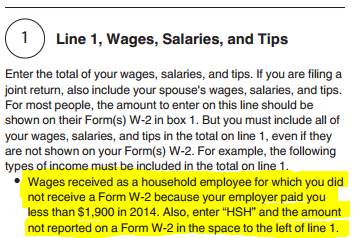 But, these types of situations can leave nannies/caregivers confused about how wages should be paid from a payroll and tax perspective. 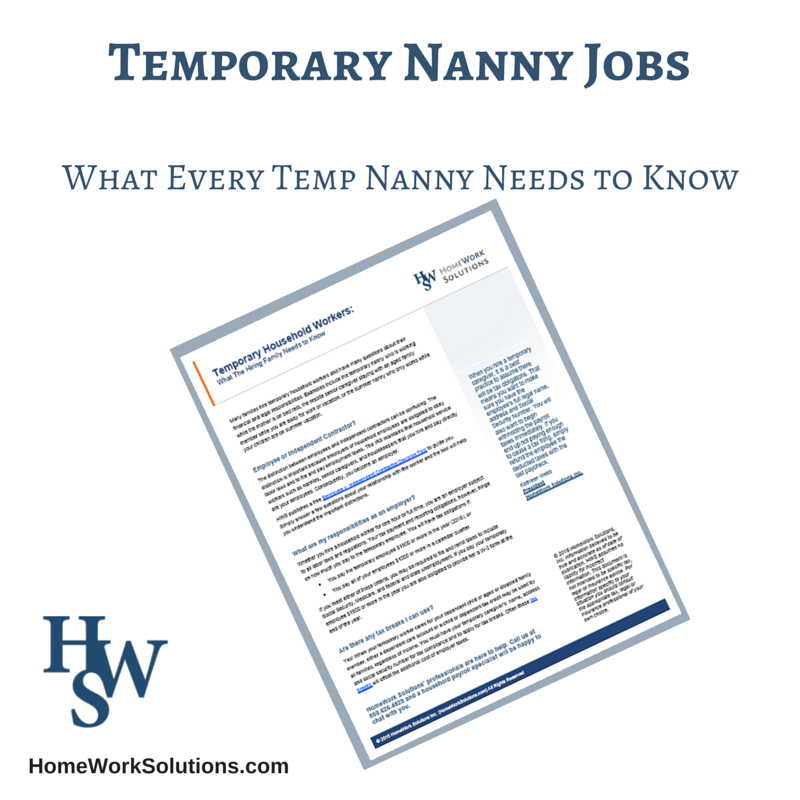 Here, we discuss some of the facts about how your temporary nanny position affects how you pay your taxes. Many nannies work a series of short term assignments throughout the year. These can range from several days to several months. Examples include nannies that cover for a full time nanny's vacation, step in to help when the regular family caregiver is ill or unavailable, or to fill in between full time nannies when the family is recruiting.